Golf tournaments like to make pins far in advance. Its not uncommon to find pins for a tournament that takes place during the summer up for sale the previous fall. I guess they just like to be ready. 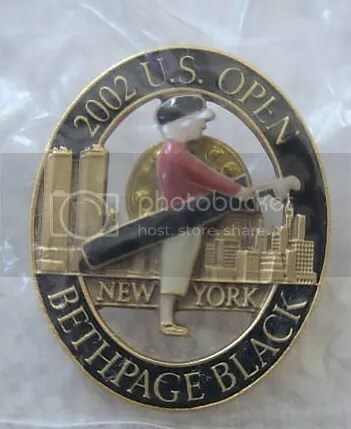 The 2002 U.S. Open was played in Farmingdale, New York on the Bethpage State Park, Black Course. Tiger Woods ultimately won. These pins were issued in the fall of 2001. As you can see, when they were made the Twin Towers were still standing. Shortly after September 11, 2001, these pins were recalled and the Twin Towers were taken off. 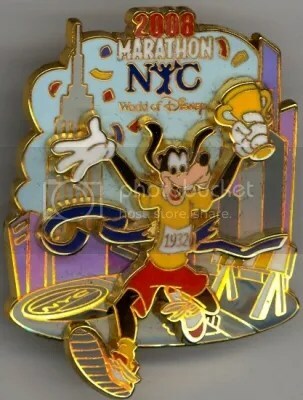 To tell you the truth, I think the newly reissued pins don’t contain the city skyline at all. In it’s place is a plain white background. You can probably guess where this is heading. When has the recalled version of anything not made it to the secondary market? The answer is pretty much never. Some of the pins featuring the Twin Towers found their way out. Big surprise. The corrected pins are worth about $10.00, whereas the recalled ones bring in about $75.00. 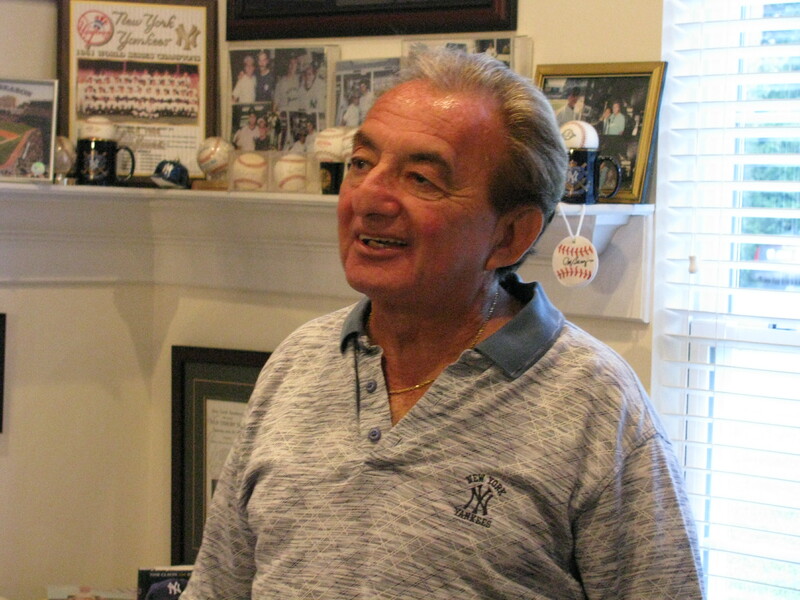 From 1959 to 1962, Fred Bengis had a dream job that many baseball fans would have loved to have. He was the batboy for the New York Yankees. 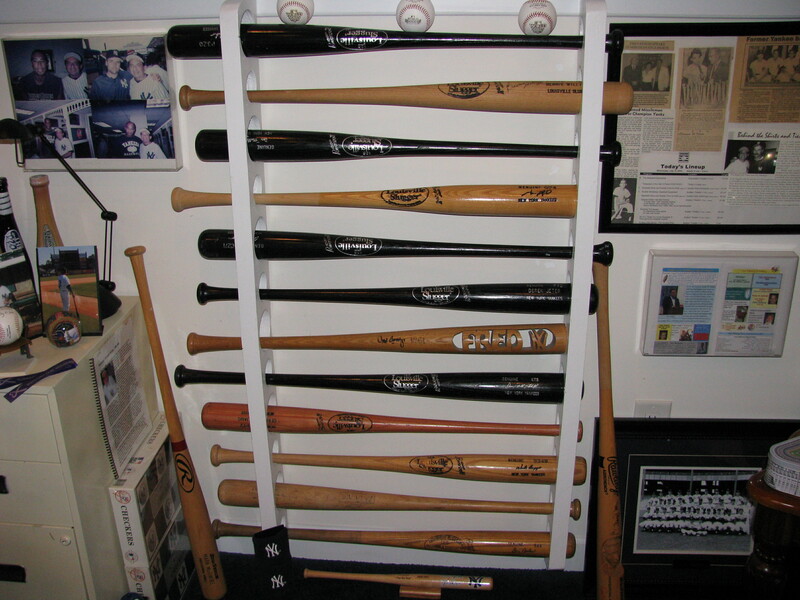 Imagine going to work everyday and getting to hang out with guys such as Mickey Mantle, Yogi Berra, Roger Maris, and Casey Stengel. That’s exactly what Mr. Bengis got to do. For a real in-depth interview with Fred Bengis, check out this article over on MLB.com. 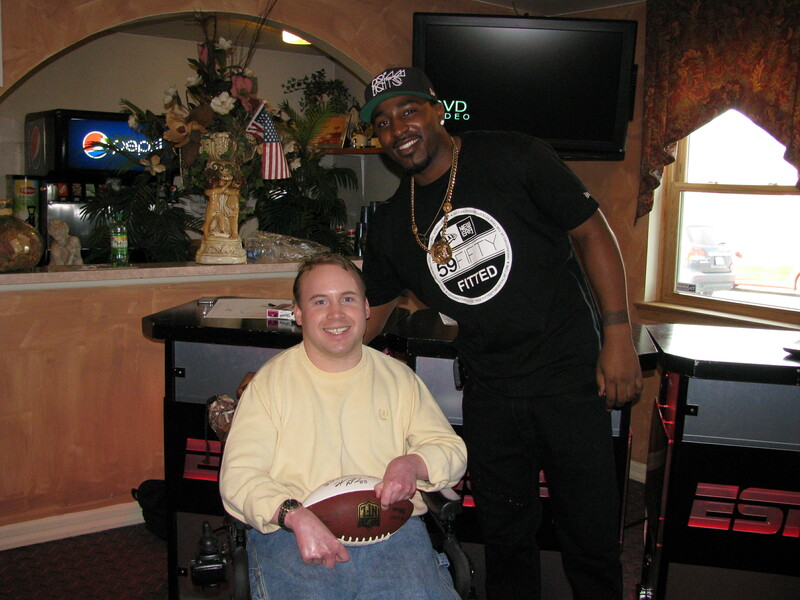 New York Giants fullback Henry Hynoski and wide receiver Hakeem Nicks signed autographs for fans at the Amato’s Pizza in Selinsgrove this afternoon. 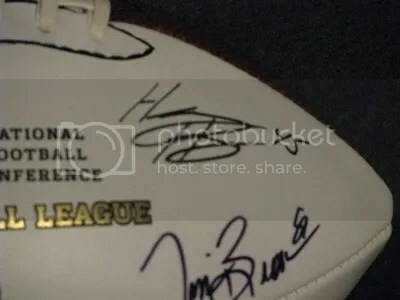 Amato’s had plenty of items to get autographed, plus a silent auction filled with many signed pieces of memorabilia. 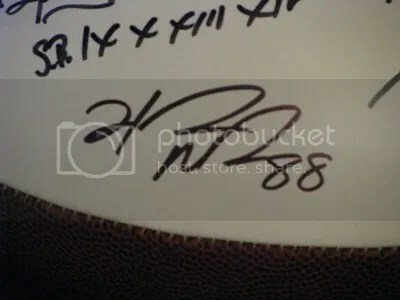 Hynoski is a graduate of Southern Columbia Area High School which isn’t that far away from the Selinagrove area. I believe this was the first time Amato’s held an autograph signing at their restaurant. Tickets had to be purchased in advance, and the lines seemed to be steady. In my opinion, everything ran smoothly. There didn’t appear to be any major hang-ups. 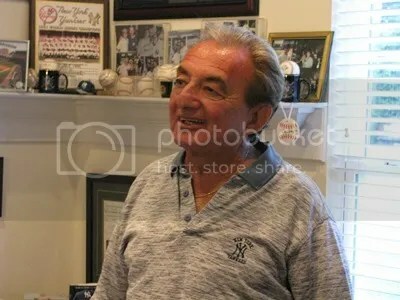 Amato’s is about 3 seconds away from my house, and this has to have been one of the easiest autograph signings I’ve ever attended. It was very well organized. 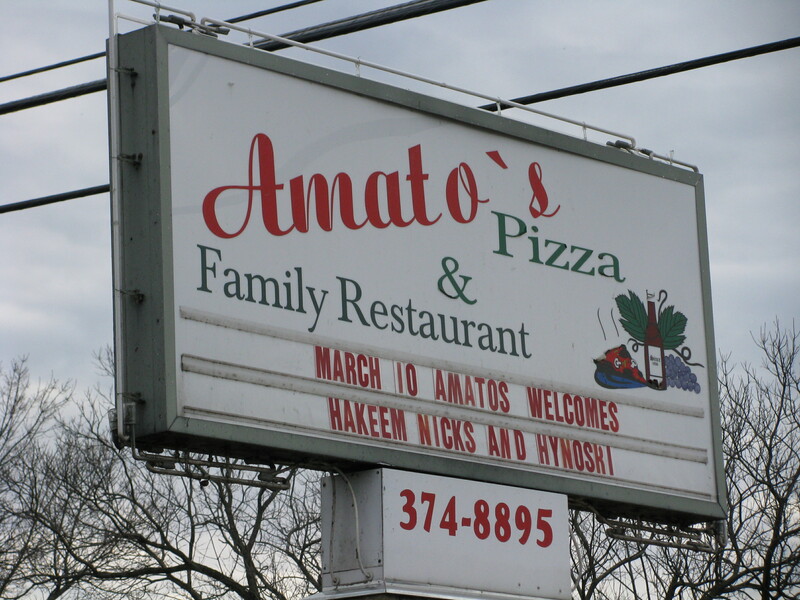 Amato’s has great food too. Along with their pizza, I also enjoy their ravioli and cheesesteak in the garden. Henry Hynoski – Hynoski doesn’t have that many cards to collect. 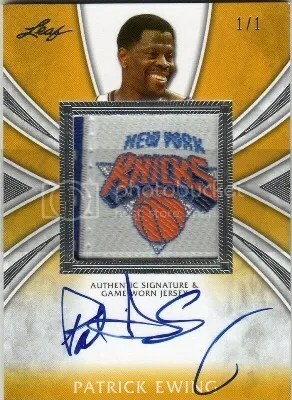 His rookies can be found in ’11 Playoff Contenders, ’11 Plates & Patches, and ’11 National Treasures. 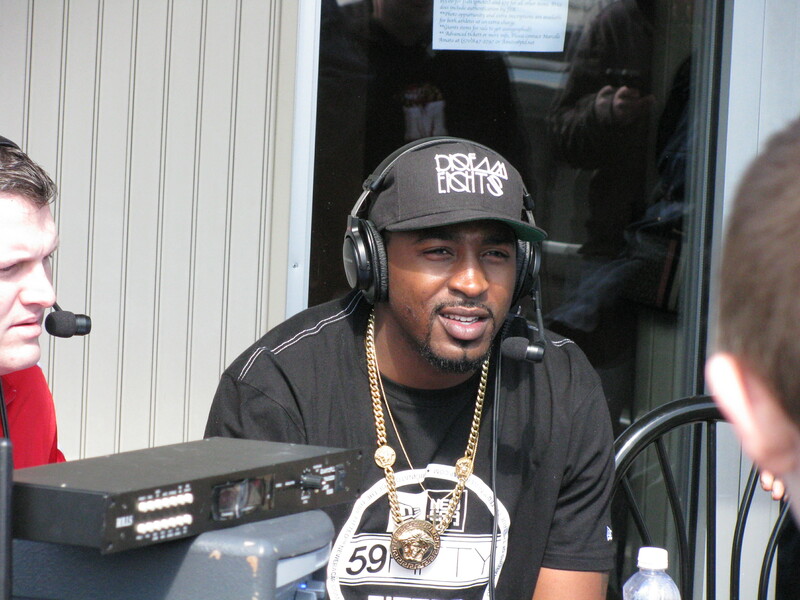 Hakeem Nicks – Nicks was a rookie in 2009 and has tons of cards to collect. Jamie Cooper is at it again! The artist that brought us the Phillies Dream Scene painting will soon begin work on another dream scene. 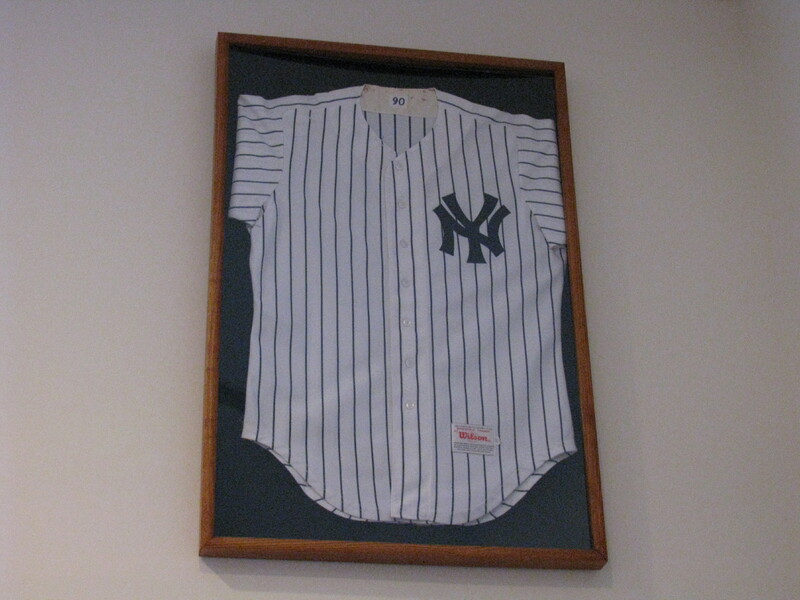 This one will be based on the New York Yankees. Mr. Cooper will start painting this week, and plans to have it completed by the end of April. The finished piece will measure 6ft by 4ft and will be auctioned off during the 2013 National Sports Collectors Convention in Chicago, IL. Below is a preliminary rough sketch of what the finished piece will look like. Along with the rough sketch, Mr. Cooper sent over the story that goes along with it. No word yet on whether prints will be made available. 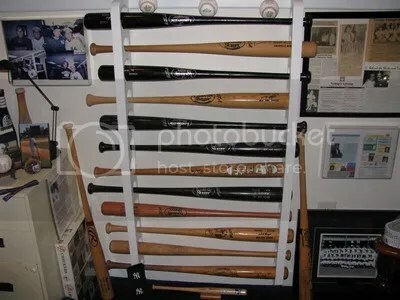 We are taken to a private corner of a mythical Yankees Clubhouse. One that reflects the changing décor of the rooms over the past 100 years. All is smoky and atmospheric. 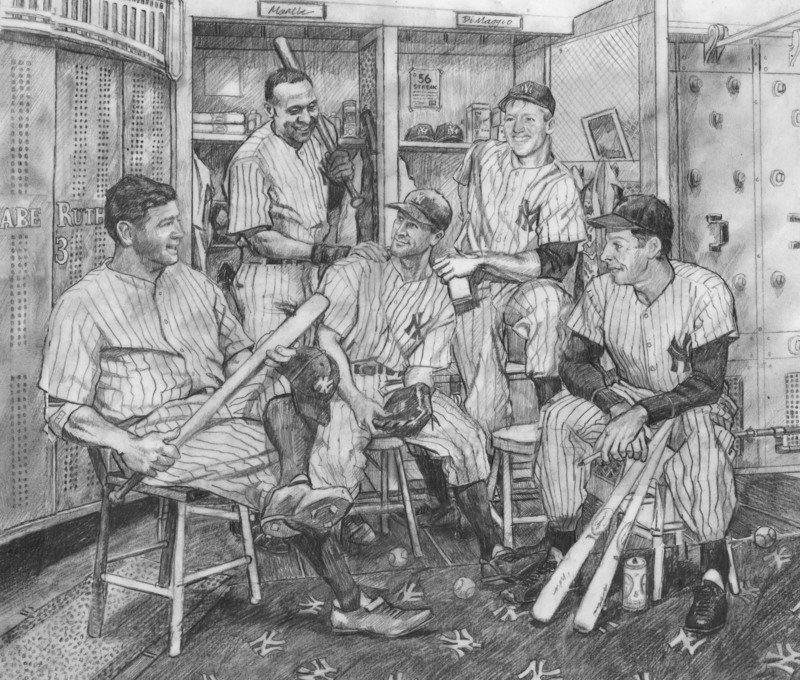 And here, as if a time machine has skimmed back through history, are the 5 greatest Yankees to have donned the famous pinstripes. Babe Ruth reclines holding the war club with which he hit the 60th home run in 1927. 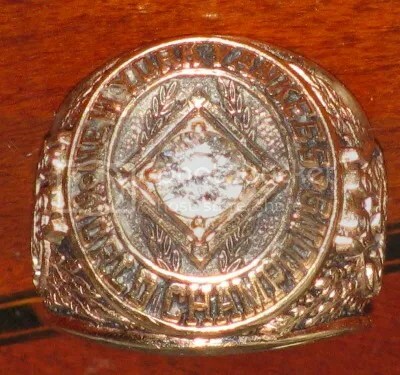 Inscribed on it are the initials T.Z (Tom Zachary – the unfortunate pitcher). He sits in front of his metal locker from the late 1920’s and 30’s. Perhaps a door could be open to reveal a big fur coat, a box of cigars and other features of the man’s tastes and fashion in the 20’s. Above it is the famous Yankees façade that is a feature of the current day clubhouse. Derek Jeter stands overlooking the group with a friendly hand resting on Gehrig’s shoulder. 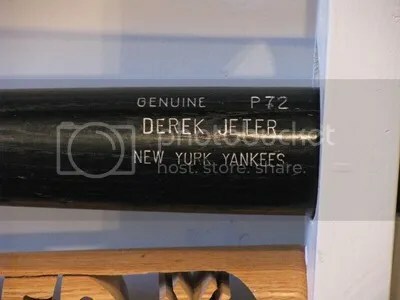 This symbolizes the respect felt toward him from all the Yankees faithful. Lou Gehrig himself is central in this scene. Proud yet humbled to be part of this elite group, he is happy to let the bigger personalities take the limelight. 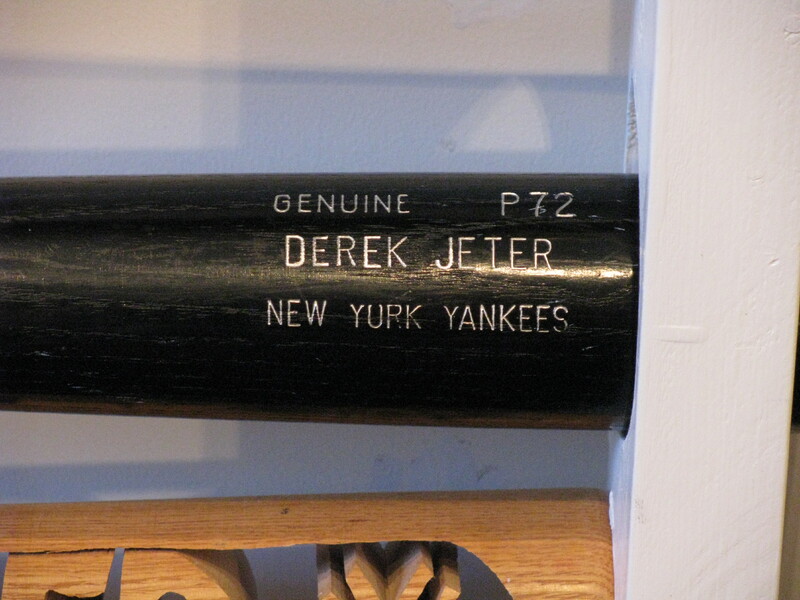 But in reality, he is the embodiment of the Yankees great tradition. Mickey Mantle circa 1956, leans in to join the fun with a big, all American smile and a can of Ballantine beer in his hand. Behind them are 2 iconic lockers from the 40’s, 50’s and 60’s. 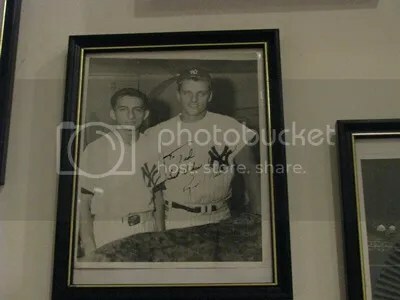 Mantle’s on the left and DiMaggios’ on the right. In Mantle’s locker are towels from the period, lots of bandages, a bottle of Yoo Hoo, pictures of loved ones and a reference to his triple crown in 1956. DiMaggio’s locker will feature a carton of Chesterfields, a picture of Marilyn, and a news cutting of his 56 game hitting streak. The clothes hanging will reflect his wardrobe of the time. 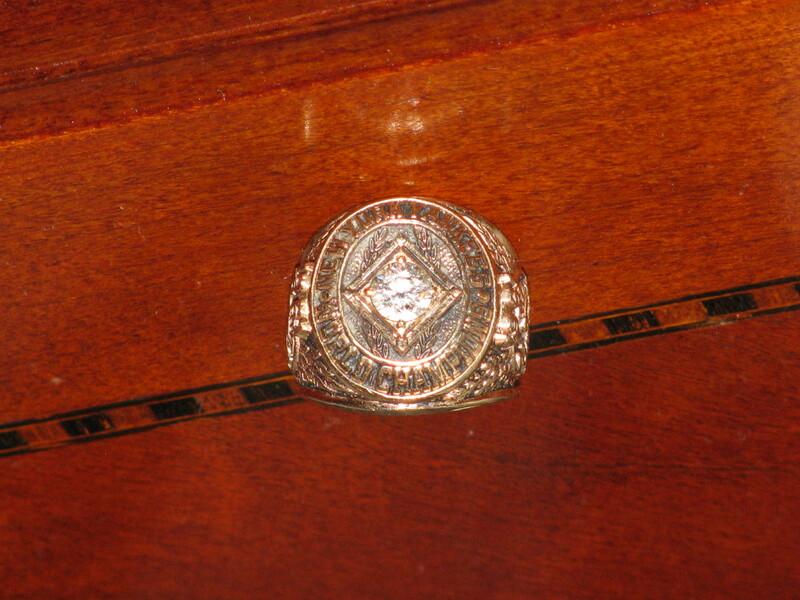 There will also be a small written slogan from Joe saying, “I’d like to thank the good lord for making me a Yankee”. DiMaggio himself casts an eye across the scene to Ruth, the two of them, as gatekeepers to this magical moment and as elder statesmen of the greatest baseball club on the planet. Of course he has a Chesterfield in his hand. Behind him to the right are the wonderful industrial looking lockers of the early 1920’s. There will be plenty of balls and towels scattered around, a couple of beer cans and other post game paraphernalia. The carpet in the foreground is the one from the current day clubhouse featuring the small NY logos.